Microchip Technology has introduced the MPLAB PICkit 4 In-Circuit Debugger. This low-cost PICkit 4 in-circuit programming and debugging development tool is meant to replace the popular PICkit 3 programmer by offering five times faster programming, a wider voltage range (1.2 V to 5 V), improved USB connectivity and more debugging interface options. In addition to supporting Microchip’s PIC microcontrollers (MCUs) and dsPIC Digital Signal Controllers (DSCs), the tool also supports debugging and programming for the CEC1702 family of hardware cryptography-enabled devices. 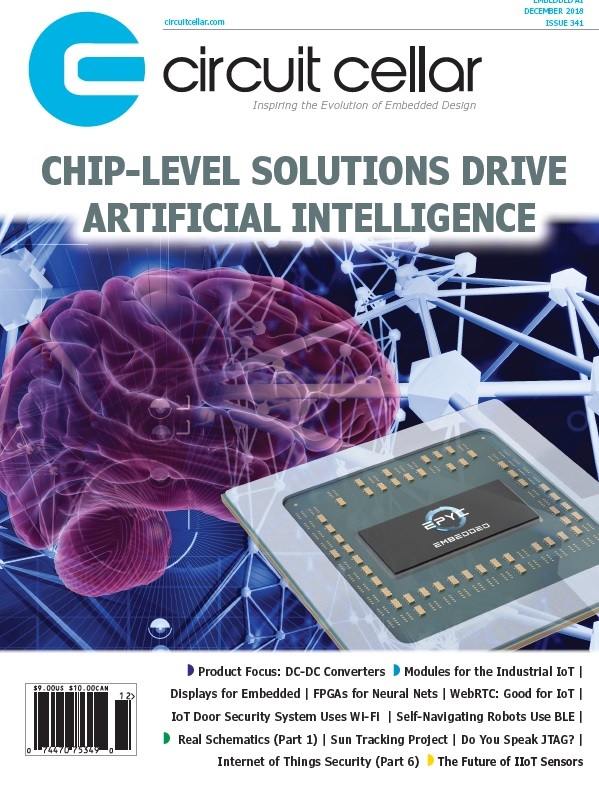 This low-cost programming and debugging solution is well suited for those designing in the 8-bit space, but it is also perfectly suited for 16- and 32-bit development due, in part, to its 300 MHz, high-performance ATSAME70Q21B microcontroller on board. The benefits of faster programming time are less waiting and better productivity during development. 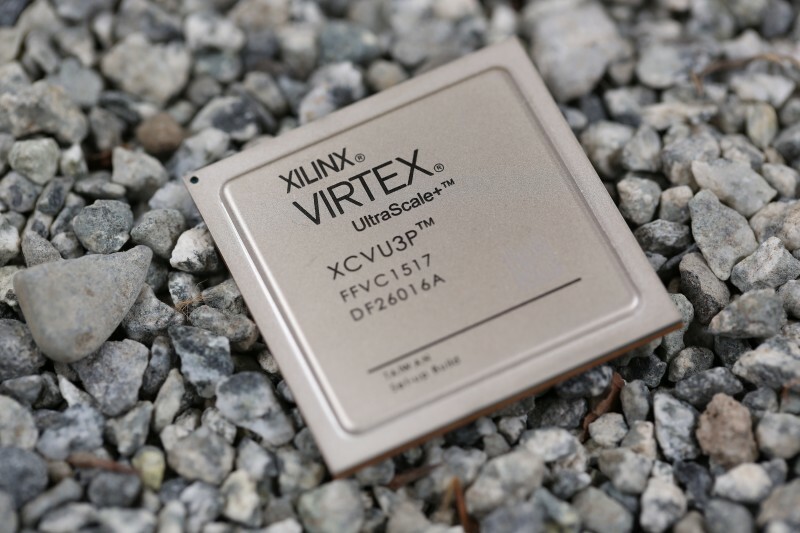 This is especially important when designing with 32-bit microcontrollers with larger memory capacities. 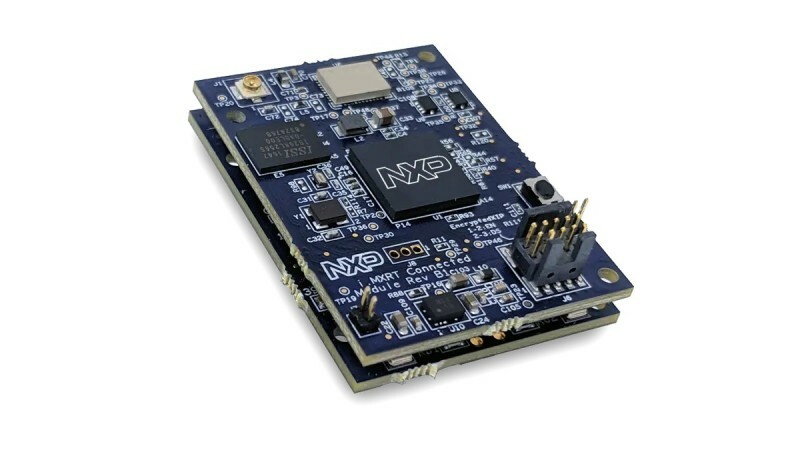 The new interfaces make this low-cost tool compatible with Microchip’s CEC1702 hardware cryptography-enabled devices. This low-power, but powerful, 32-bit MCU offers easy-to-use encryption, authentication and private and public key capabilities. CEC1702 users can now benefit from using Microchip’s development tools and support rather than being required to invest in third-party tools for programming and debugging. 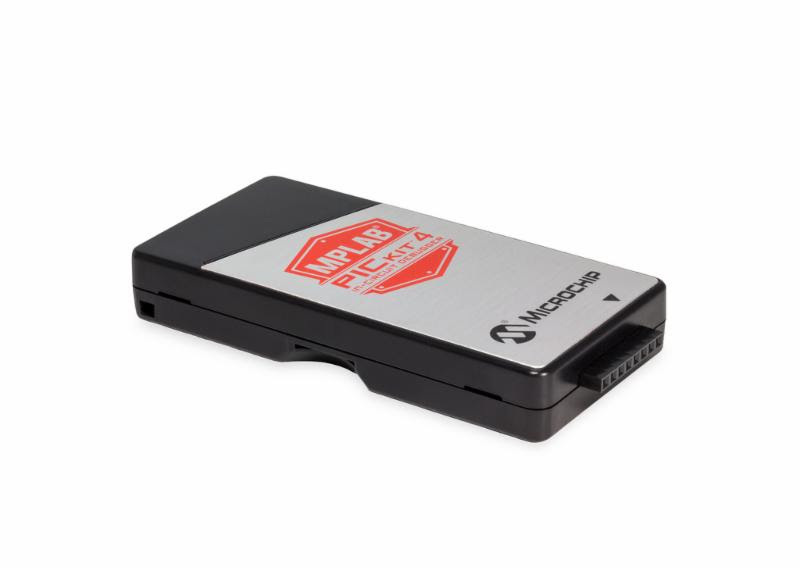 The MPLAB PICkit 4 (PG164140) development tool is available today for $47.95. 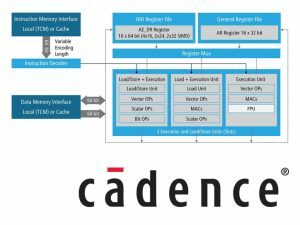 Cadence Design Systems has announced the Cadence Tensilica HiFi 3z DSP IP core for system-on-chip (SoC) designs targeted for the latest mobile and home entertainment applications, including smartphones, augmented reality (AR)/3D goggles, digital TVs and set-top boxes (STBs). The new HiFi 3z architecture offers more than 1.3X better voice and audio processing performance than its predecessor, the HiFi 3 DSP, which leads the industry in the number of audio DSP cores shipped. Higher voice sample rates require more complex voice pre-processing. Enhanced Voice Services (EVS), the latest mobile voice codec supporting voice over LTE (VoLTE), supports up to a 48kHz sample rate, compared to 16kHz for the previous AMR-WB codec. The new HiFi 3z DSP delivers more than 1.3X better performance for EVS than the HiFi 3 DSP core. Home entertainment is driving a similar workload increase as audio codecs like Dolby AC-4 and MPEG-H transition from channel-based to object-based. In addition, audio post-processing functions such as Waves Nx 3D/AR audio and the immersive audio of Dolby Atmos-enabled TVs are driving higher complexity signal processing. The HiFi 3z DSP provides more than 1.4X better performance on Dolby Atmos-enabled TVs than the HiFi 3 DSP. Tensilica HiFi DSPs are the most widely licensed audio/voice/speech processors, with support for over 200 proven software packages and more than 95 software partners in the Tensilica Xtensions partner program. More than 75 top-tier semiconductor companies and system OEMs have selected Tensilica HiFi DSPs for their audio, voice and speech products. Interested in learning about correlation and how to implement it in a digital signal processing system? In Circuit Cellar 299, Robert Lacoste addresses the subject without going overboard with complicated mathematics. He explains how a simple correlation calculation can drastically improve a system’s performance. Imagine a situation in which you have a noisy signal that includes replications of a given pattern. Each replication is more or less accurate, has a varying amplitude, and could be situated anywhere in the signal (see Figure 1). The pattern is known, even if it could have any shape. Also imagine that your boss or client asked you to find an algorithm that will locate each occurrence of the pattern in the signal and give an estimation of its amplitude. Not obvious, right? Well, it’s actually quite easy. This is a classic situation for which you can apply a simple mathematical operation: correlation. 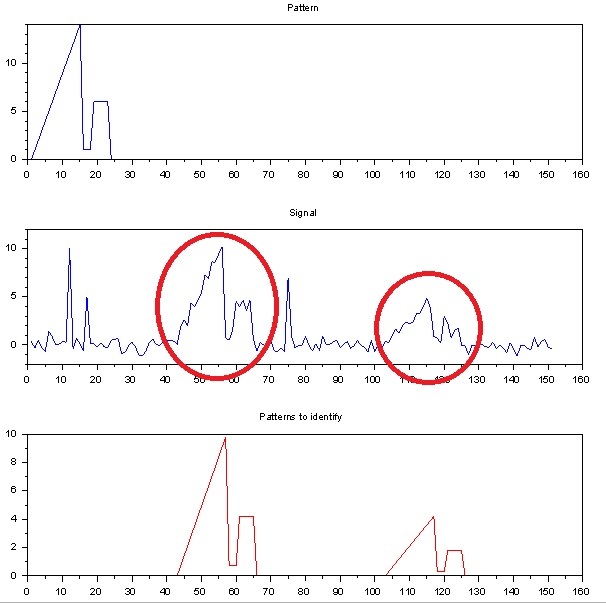 Figure 1: This figure shows a given pattern (top) replicated two times in a noisy signal at different amplitudes (middle). The goal of the game is to identify the two replications (bottom). Before I define correlation and explain how to implement it in a DSP system, let’s cover a few typical applications first. A radar system includes a transmitter and a receiver. The former sends out some pulses. The receiver must recognize the echoed pulses, which each corresponding to an obstacle. That’s exactly what a correlation is made for! Even if a radar is one of the best examples, there are thousands of other possible applications. 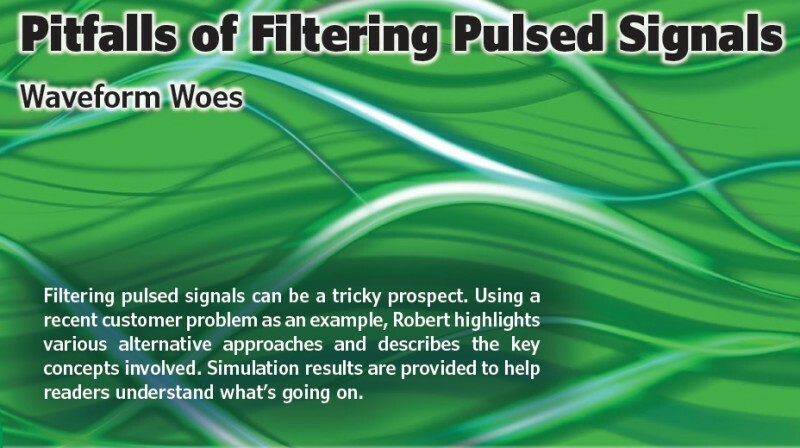 Want to improve the performance of a sensor with information about the shape of the signal being detected? Use correlation. Need to identify a given vibration on an accelerometer-based system? Correlation is answer once again. The list is endless. 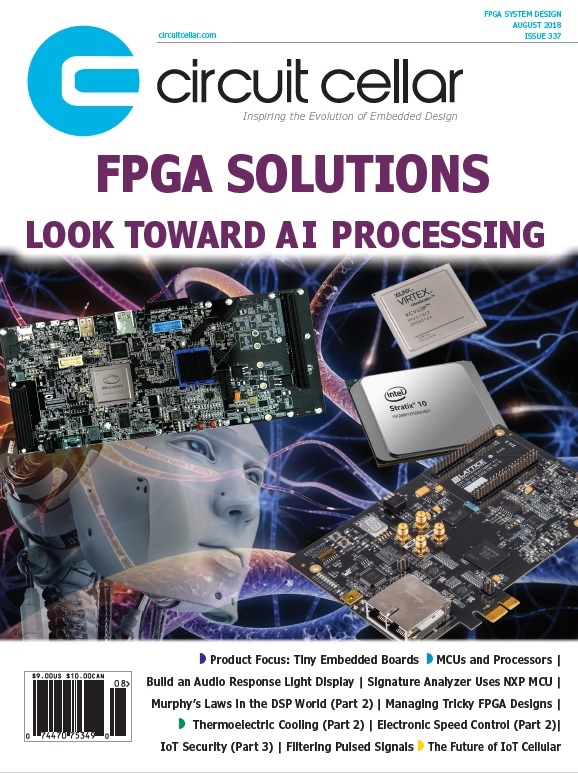 The good news about correlation is that the calculations are quite simple to explain and even simpler to implement in a software-based project or in an FPGA. Since I’m talking about digital systems, you can safely assume that the signal is digitized (by an analog-to-digital converter) and defined by N successive samples. 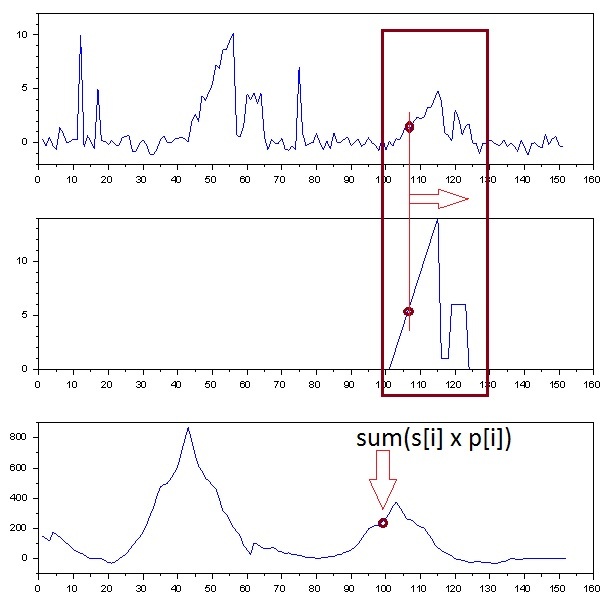 Similarly, the pattern to be found is a set of M successive samples, which are also some numeric values. 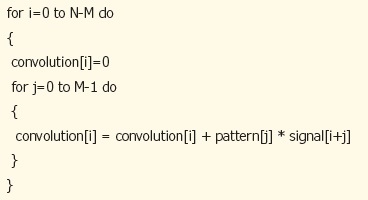 Let’s assume that the pattern is shorter than the input signal so that M < N. How should you proceed? The correlation calculation works as follows. Start by positioning the pattern above the first M points of the signal. 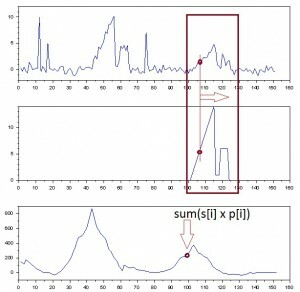 For each sample of the pattern, multiply the corresponding pattern and signal values and then sum all the results. You’ve got the first point of the correlation. Then shift the pattern by one sample on the right and do the same calculation again to find the second point of the correlation. Continue up to the end of the signal and you’ve got the correlation of the pattern and signal, which has N – M + 1 points in that case. Refer to Listing 1 if you prefer pseudocode to a description (assuming the index are numbered from 0 to N – 1). Listing 1: This pseudo-code implements the correlation algorithm. Very simple, right? The process is illustrated on Figure 2. How does this calculation answer to our problem? Very simply: The calculated correlation is higher when the signal and pattern matches. Figure 2: A correlation works by progressively shifting the pattern (middle relatively to the signal (top). At each position, the two curves are multiplied term-by-term and summed, giving one point on the resulting correlation (bottom). 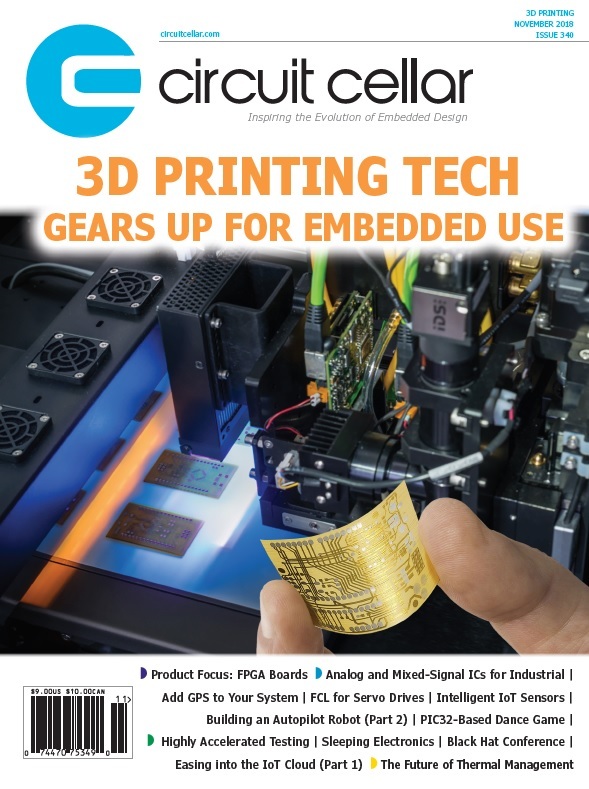 This article appears in Circuit Cellar 299 (June 2015). 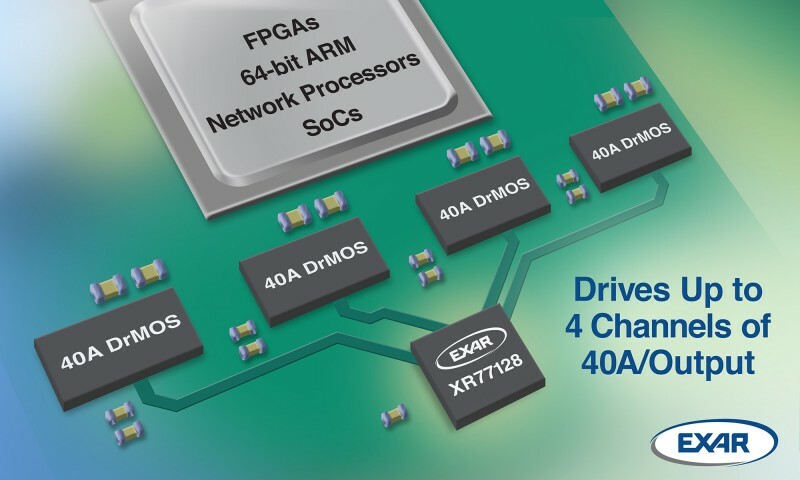 Exar Corp. has introduced the XR77128, a universal PMIC that drives up to four independently controlled external DrMOS power stages at currents greater than 40 A for the latest 64-bit ARM processors, FPGAs, DSPs and ASICs. 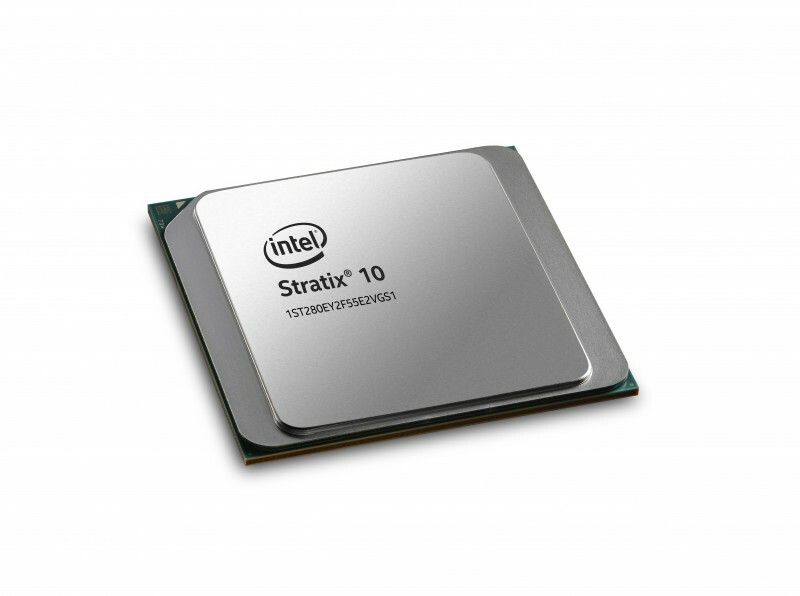 DrMOS technology is quickly growing in popularity in telecom and networking applications. 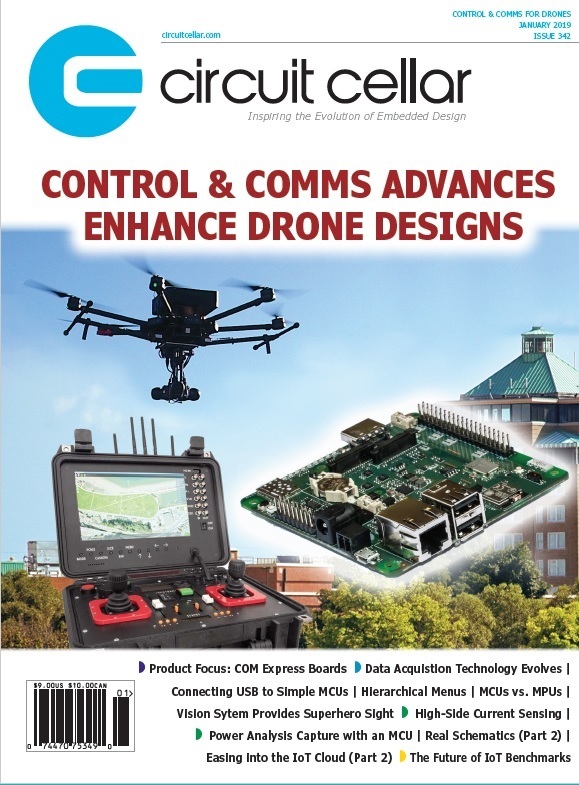 These same applications find value in Exar’s Programmable Power technology which allows low component count, rapid development, easy system integration, dynamic control and telemetry. 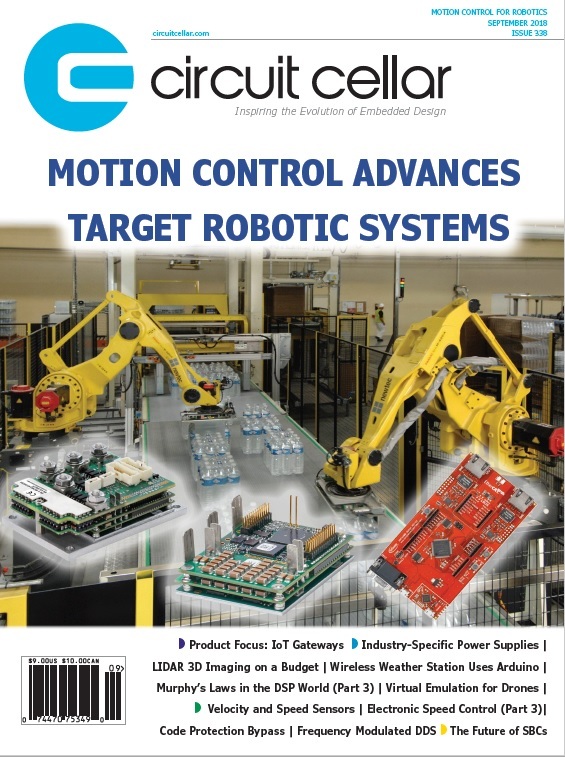 Depending on output current requirements, each output can be independently configured to directly drive external MOSFETs or DrMOS power stages. 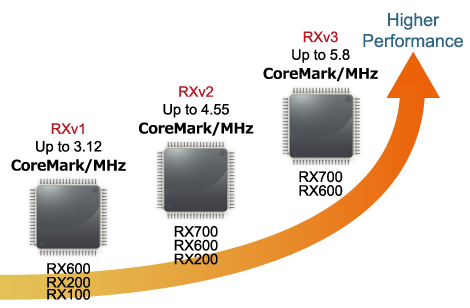 The XR77128 is quickly configured to power nearly any FPGA, SoC, or DSP system through the use of Exar’s design tool, PowerArchitect, and programmed through an I²C-based SMBus compliant serial interface. 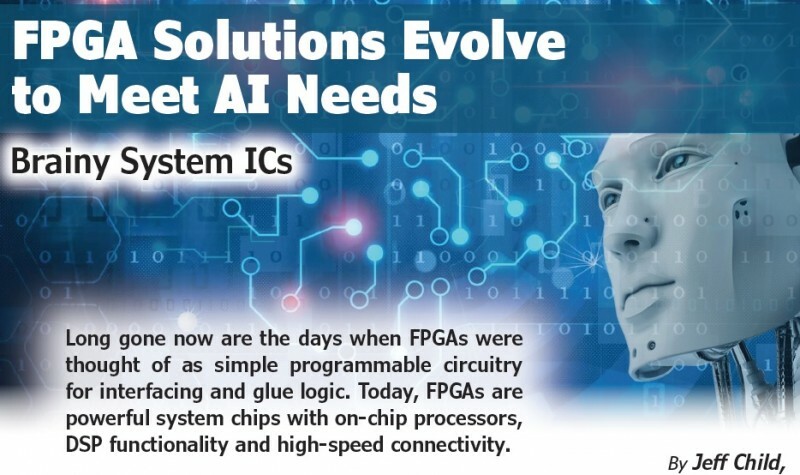 It can also monitor and dynamically control and configure the power system through the same I²C interface. Five configurable GPIOs allow for fast system integration for fault reporting and status or for sequencing control. A new Arduino-based development platform allows software engineers to begin code development for telemetry and dynamic control long before their hardware is available. The XR77128 is available in a RoHS-compliant, green/halogen free space-saving 7 mm × 7 mm TQFN. It costs $7.75 in 1000-piece quantities. 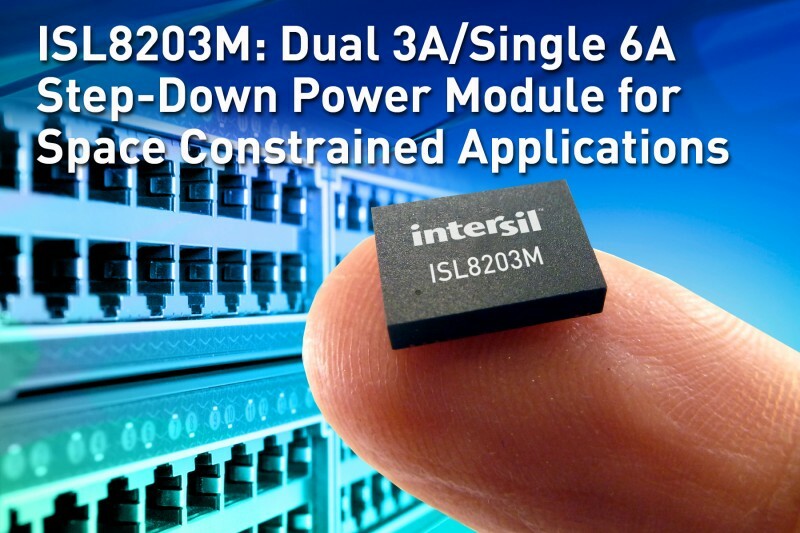 Intersil Corp. recently announced the ISL8203M, a dual 3A/single 6A step-down DC/DC power module that simplifies power supply design for FPGAs, ASICs, microprocessors, DSPs, and other point of load conversions in communications, test and measurement, and industrial systems. The module’s compact 9.0 mm × 6.5 mm × 1.83 mm footprint combined with industry-leading 95% efficiency provides power system designers with a high-performance, easy-to-use solution for low-power, low-voltage applications. The ISL8203M is a complete power system in an encapsulated module that includes a PWM controller, synchronous switching MOSFETs, inductors and passive components to build a power supply supporting an input voltage range of 2.85 to 6 V. With an adjustable output voltage between 0.8 and 5 V, you can use one device to build a single 6-A or dual output 3-A power supply. Designed to maximize efficiency, the ISL8203M power module offers best-in-class 15° C/W thermal performance and delivers 6 A at 85°C without the need for heatsinks or a fan. 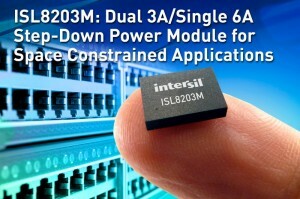 The ISL8203M leverages Intersil’s patented technology and advanced packaging techniques to deliver high power density and the best thermal performance in the industry, allowing the ISL8203M to operate at full load over a wide temperature range. The power module also provides over-temperature, over-current and under-voltage lockout protection, further enhancing its robustness and reliability. The ISL8203M power module is available in a 9 mm × 6.5 mm, QFN package. It costs $5.97 in 1,000-piece quantities. 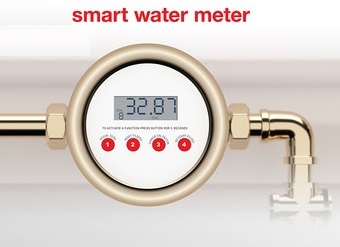 The ISL8203MEVAL2Z evaluation costs $67.